Sometimes something as small as an overflowing bathtub can lead to flooding issues! 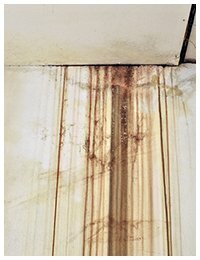 Ignoring this problem can lead to water damage and expensive repair work. To avoid things from intensifying, it is advisable to take prompt action. This is where you are going to need Homestead Emergency Restoration. We are the best and the most sorted water damage restoration company in the Homestead, FL area. When you make a distress call to us on 786-408-2426, we dispatch our teams immediately that will reach your location in record 30-minutes or less. Soon after that we begin the remedial process and restore your property to its pre-loss state. All you need to do is pick up that phone and make a call to us! One of the most common types of water damage is overflowing bathtubs, leaky pipes, washing machines, dishwashers etc. The thing about water damage issues is that the longer they remain unattended, the greater the chances there are of irrevocable damage. 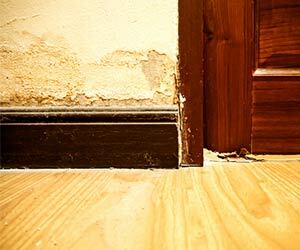 The damp areas can encourage mold growth and cause wood warping and paints to start peeling off! The first thing we do in this situation is to locate the water damage source. Some of these leaks may not be visible to the naked eye and may require specialized equipment for detection. We use thermal imaging cameras and acoustic devices to spot exactly where the leak is. Once we know the exact location, we fix the issue, dry out the excess water, dehumidify the residual moisture and restore your property back to its original state. We also remove all signs of mold, decontaminate your property and carry out restoration work in case of serious damage. In case the sewage water double backs into your home through drainage systems or pipes it can bring with it disease-causing germs and bacteria, intruding the safety of your homes. This is the most fatal kind of water damage. It not only impacts your health, but also damages your property. In order to address this issue, the first thing we need to do is find the exact location of the problem. It is possible that your sewer system has given away due to non-maintenance and may have been in need of serious repair. The pipes may have been blocked that made the dirty water flow back into your home. This may be a hypothetical situation, but a very real one. It could be anything that can cause blockage in the pipe lines. Our experts find that cause and fix it. After fixing the core issue, we extract the water and decontaminate your property with special chemicals. This is one of the nastiest damage that water can bring upon your property. If your home or office complex in Homestead, FL area is buried inside contaminated water, then it can take forever to restore it back to normalcy and make it livable again. However, even though it may be difficult, it is not exactly impossible to mitigate the damage. All it needs is quick remediation and a lot of it can be saved! Once we assess the damage, Homestead Emergency Restoration uses its sophisticated extraction units to pull out all the water and begin the drying process. After all the moisture has been effectively removed, we perform sanitization and decontamination process. We also try to recover any item that can be repaired or recovered. The items that are completely destroyed are disposed in accordance with safety standards. 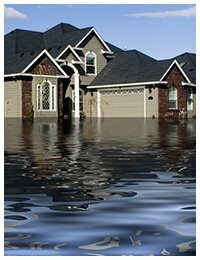 Water damage and its restoration is not your forte. Let the experts handle it! Call us at 786-408-2426 today.